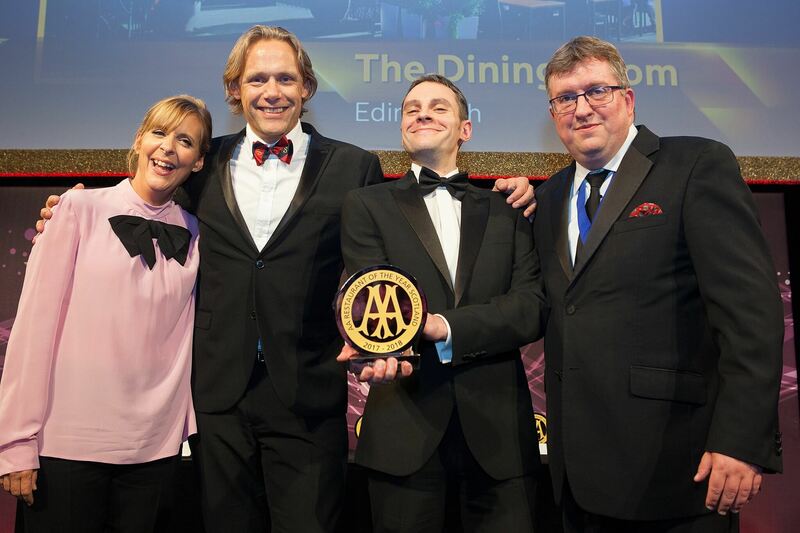 The Scotch Malt Whisky Society’s Dining Room at 28 Queen Street has been awarded Restaurant of the Year at the AA Hospitality Awards. The Society’s grand property at 28 Queen Street, located in Edinburgh’s city centre, boasts geometric Georgian architecture across 4 floors with glorious views of the private Queen Street gardens. The Dining Room at 28 Queen Street welcomes new faces and old friends with traditional fine dining paired with culinary invention, expertly prepared by our chef James Freeman. Enjoy distinguished flavours with personable service in our relaxed, refined Georgian dining room. There’s not a hint of cliché about head chef James Freeman’s food. He chooses his ingredients thoughtfully, cooks them beautifully, and presents the dish in an unfussy, but hugely appealing way. Savour the delights of a deliciously playful ever-changing menu. To celebrate Head Chef James Freeman and the team’s success, The Dining Room is offering three-courses from the a la carte menu with a glass of Heidsieck Champagne for £45. Ask for more details when booking, call the Dining Room on 0131 220 2044 or visit the website. Pictured above: Jan Damen UK Operations Manager and Francois Guillemet Queen Street Venue Manager proudly picking up the award.